Irish band Westlife is making a big comeback in 2019. They're working on new music with Ed Sheeran, too! Nearly one year after getting their fans excited about a possible reunion, Westlife has announced that they will be going on tour together. The Irish band will also be releasing a new album six years after they split officially. 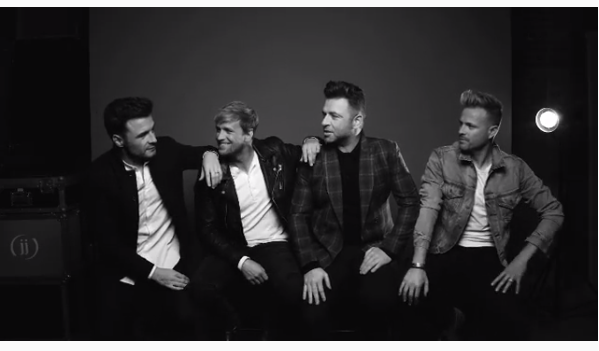 Kian Egan, Nicky Byrne, Mark Feehily, and Shane Filan will be embarking on their tour in 2019. Shane told The Sun they "missed the buzz of performing on stage together". "We still have a lot that we want to achieve as a band and we want to bring our new music to fans all over the world," he said. Westlife will be releasing their new music under a different record label. They have signed a deal with Universal Music. The group was originally a fivesome, but Brian McFadden left in 2004. Ed Sheeran has reportedly written a song for the band that will be released before the end of the year. Kian says they are happy that their children will get to see them onstage. “This time around our children will get to enjoy Westlife and see their daddies on stage," he told The Sun.